Press QQ to Leland Palmer. it's really quite amazing how many posters assumed I had a problem with this. and then demanded to have the joke explained, heh. PRESS F TO CHANT "USA! USA! USA!" Has been that way for as long as I remember, and that is nothing to be embarrassed about. But, like is the original screenshot from an actual game? Like everything but the clapping part. Yeah, I like how they added more graphics on the respects coffin. It looks amazing. We definitely need a button to Clap. Call of Duty is an easy target, so everyone wants to get a punch in. 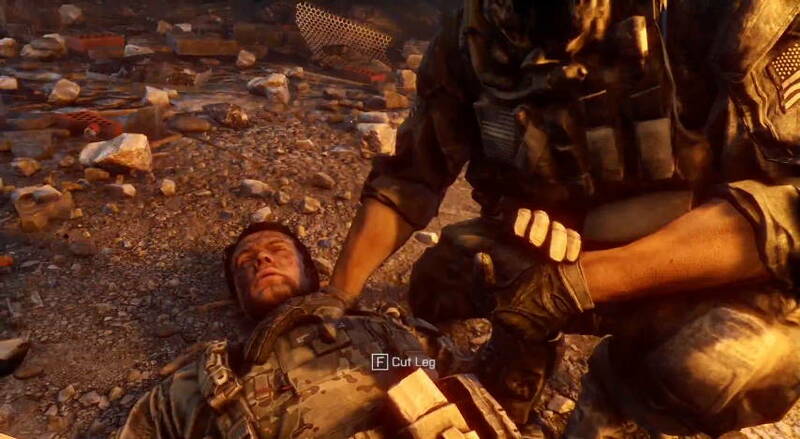 Call of Duty has never tugged at our heartstrings, and Advanced Warfare isn't setting the series bar much higher. 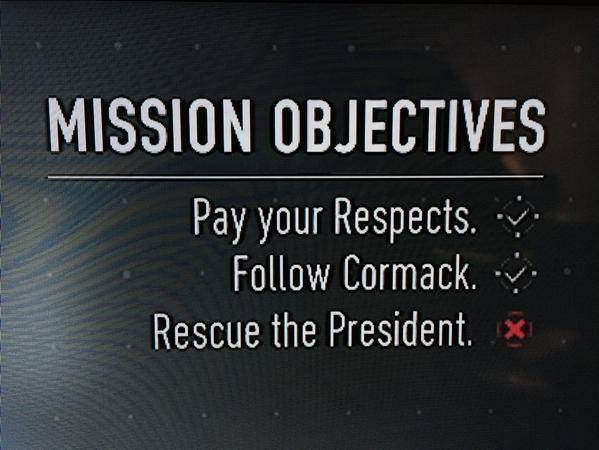 But a Call of Duty game giving players an opportunity to pay their respects to a fallen comrade, even if it's placed within this pseudo-futuristic interpretation of America, is interesting. It suggests the storytelling happening in smaller games might be rubbing off. 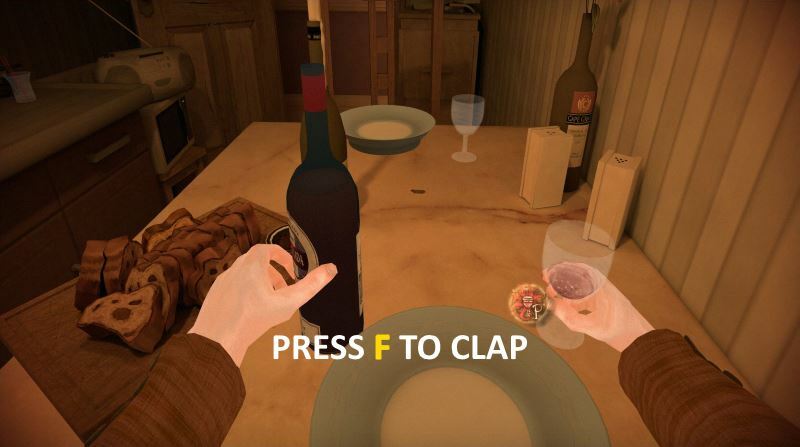 It's also not the first game to command eyerolls for a contextual action. It was only a few years ago Homefront bizarrely asked players to "press x to hide in mass grave." It's true. That was probably way worse. There's also the "press X to Jason" meme from Heavy Rain. Players could press the X button over and over, prompting the main character to endlessly and awkwardly yell for his lost son. 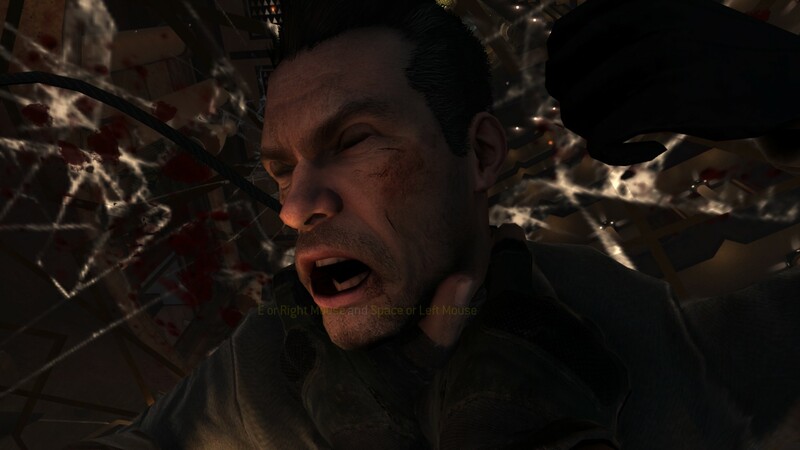 Call of Duty's design ethos probably explains why "press X to pay respects" even exists. The game's afraid you'll turn around and leave before paying your respects. The player may not want to, but the designers want you to. The big, floating symbol is the carrot. Who can resist pushing it? Anybody would. But then realise it was a simulation!!!! Mind = blown!!! Is there a dubstep version of Taps? Sorry for the hard-to-read text. Hit screenshot a little too late (while it was fading) and I'm not replaying this entire mission just for an internet laugh. edit: It says "E or Right Mouse and Space or Left Mouse"
Arkham Knight spoilers? Maybe? The meme continues. That was in City as well.